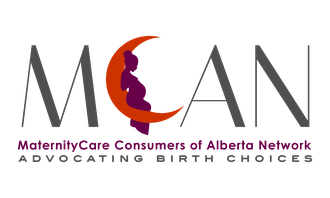 The MaternityCare Consumers of Alberta Network (MCAN) is the provincial body that represents consumers on important maternity care health policy and other initiatives. A membership with MCAN will support the work of the organization and provide voting privileges at the AGM and at Special Meetings. Members will also be eligible to be part of MCAN committees, Regional Leaders, and/or nominated for the Board of Directors. Memberships are $25 annually. Step 1. Complete the Membership Subscription Form, ensuring to include all details by scrolling with the internal scroll button, then clicking Submit. Step 2. If you have chosen to pay using PayPal, click on the PayPal button (Pay Now) to be directed to PayPal's secure site to submit your payment. If you have chosen to pay by cheque, do not forget to mail your payment to the address indicated. If you'd like to cancel your membership, please go here.